When Peter, Paul & Mary’s 1963 recording of Bob Dylan’s “Blowin’ in the Wind” became an unofficial civil rights anthem, the identification of the folkies with the politics of progress was cemented. Though the music industry continued trying to capitalize on the folk boom, the music’s implicit and explicit politics made many major corporations nervous, and a lot of effort went into developing purveyors of well-scrubbed folk-pop like the Serendipity Singers and the New Christy Minstrels. The Serendipity Singers, organized at the University of Colorado, were one of the most popular ensembles to emerge. Sennett and Brooks Hatch worked in the Harlin Trio, organized at the Delta Tau Delta house. When Sennett was inspired to expand the group, they recruited another trio of Delts, the Mark III—John Madden, Jon Arbenz and Mike Brovsky—and two other CU students, Bob Young and Lynne Weintraub. The group, then called the Newport Singers, proved popular in Denver through stage performances and radio commercials. They created a unique sound with the use of several guitars, banjos, bass fiddles and drums. Virtually everyone also sang. Expanding again with the addition of Texas-born folksingers Diane Decker and Tommy Tiemann, the nonet performed at the Bitter End, one of the top clubs in Greenwich Village, and gained the management expertise of its owner, Fred Weintraub. 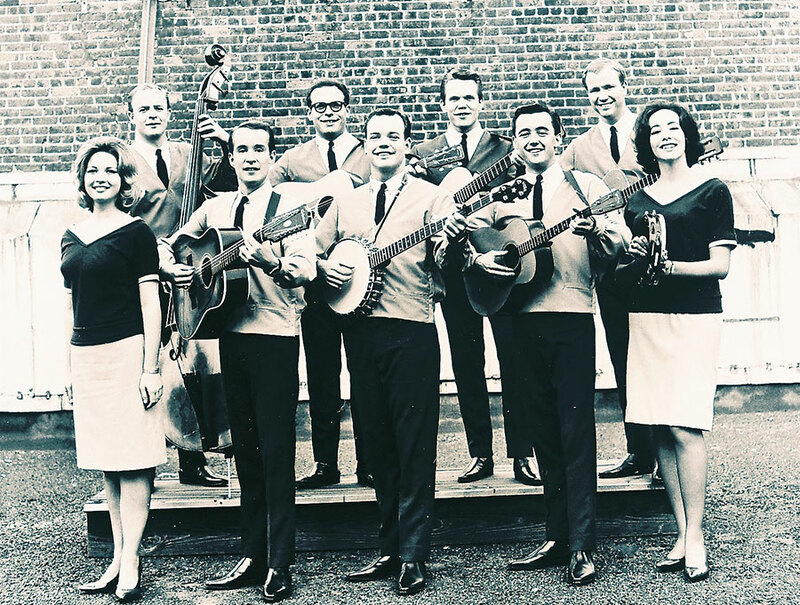 Billing themselves as the Serendipity Singers, they passed an audition to alternate as the headline act on Hootenanny, the weekly ABC-TV folk music showcase taped at different college campuses, the audience consisting of students. Shows ran for a half-hour on Saturday night and featured four acts. Hootenanny was the network’s second-rated program for a while. Many of America’s most important and popular folk-singers initiated a boycott when ABC announced that it would not allow performers associated with “radical causes” to appear on its program. Signed to the Philips label, the Serendipity Singers reached the national Top 10 with “Don’t Let the Rain Come Down (Crooked Little Man)”—#6 in February 1964, written by Ersel Hickey of “Bluebirds Over the Mountain” fame. The song was nominated at the 7th Grammy Awards in 1965 for Best Performance by a Chorus. The follow-up, “Beans in My Ears” hit #30 in June 1964. “It was banned in Boston, which always seemed to be the first place to take a song off. Some televisions shows asked us to do something different. Understandably so—it was dangerous, trying to do that if you took it literally. Obviously, it was a statement about adults not listening to children,” Sennett said. “We did a bigger variety of music—the folk center was there, but we were doing Broadway things. We were trying to do a different sound. We mixed it up a lot. We were fortunate that we had a very visual act, a lot of talk and blackouts along with it—everybody had some theater background. Charting albums were The Serendipity Singers (#11 in March 1964), The Many Sides of the Serendipity Singers (#68 in June 1964) and Take Off Your Shoes with the Serendipity Singers (#149 in January 1965). The group appeared on such network television shows as The Ed Sullivan Show, The Dean Martin Show, The Tonight Show, Shindig! and Hullabaloo. The Serendipity Singers’ upbeat, massed vocal sound broke on the charts just as the continued impact of the Beatles and the British Invasion was about to sweep the music landscape. New member Patti Davis succeeded Lynne Weintraub, and the group performed at the White House with President Lyndon B. Johnson in attendance. The last original members had moved on by 1970; the name was sold and the Serendipity Singers continued with new lineups as a concert attraction into the 1990s.